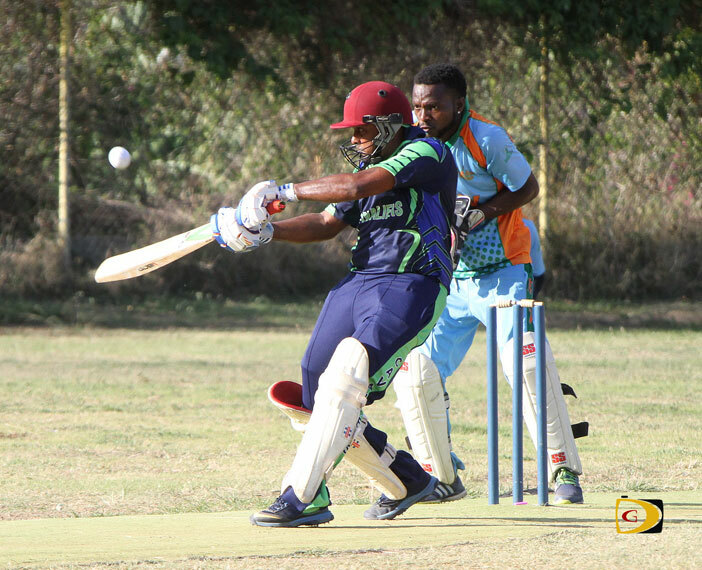 Cavaliers, who won the first four BVI Cricket Association Twenty 20 League titles, advanced to their first final since a dramatic two run Super Over loss to the Vikings in 2014, after whipping Road Town Wholesale by seven wickets on Sunday in Greenland. Road Town Wholesale, who were promoted from Division I to the Premier League this season, won the toss, then went on to post a formidable 220 for 8 off their 20 overs, in the first round qualifier ahead of the elimination matches that starts this weekend. In helping to rebuild RTW’s innings, Joel Williams shared two partnerships. The most significant one of 98 with captain Austin McDowall, who went for 33 for the third wicket, guiding them from a slow demise at 2 for 12, and then 35 with Roy Caine, before he was caught by substitute Wicket Keeper Daniel Singh, for a steady 82 after being dropped twice by Drumor Tooney. In the absence of three key players including captain Vishal Bharat, Cavaliers the territory’s oldest active club now in its 50thyear of existence, brought Teddy Nankisore into the lineup for the first time this season and he ignited a league’s best 132 run opening partnership with Mohamed Hassan, before Curtis Jack who bagged all three wickets for 51, took Mohamed’s wicket on a catch by Sylvester Mitchel, for 47. Nankisore and Sinclair, put on 70 for the third wicket before Man of the Match Nankisore—who had 13 fours and 12 sixes—was caught by Caine for season’s individual highest score of 128. Jagnarine “Sugar” Persaud who ended the game at 224 with a towering six over backward square, had 14 and Sinclair 17. After the team meeting following the loss, Williams who led RTW with 82, said they were trying to put a figure on the loss. 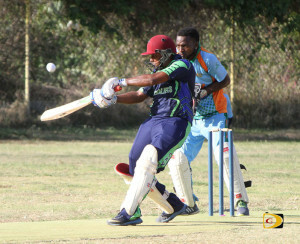 In the other match, the Vikings who were relegated from the Premier League a year ago, advanced to the Division I final, by using five batsmen with 30 or more runs after the Virgin Gorda Spartans used under supported Terry Nanton’s well played 112, as the foundation for reaching 200 for 7 in their 20 overs. The Vikings got 40 from Govin Sing; 36 not out from Dave Pyroo; a supporting 33 from Roshan Husman along with a contributing 32 from Vishan Munessar and 30 from Ken Alphanso, to reach 201 for 5 in 15.0 overs.